A Federal High Court sitting in Akure on Monday ordered the Inspector-General of Police to pay N7.9 million to Mrs Queen Akarewan, widow of Christopher, who was shot and killed by a police team in Okitipupa area of Ondo State on October 11, 2011. Akarewan, a commercial motorcyclist, was said to have been killed for refusing to give N50 to two policemen at a check point. The two policemen, John Aghaulor and Igodi Gbefamoghan, had already been dismissed by the Nigeria Police. Justice Abdu Dogo, in his judgment, held that the victim’s life was unlawfully terminated contrary to Section 33 of the Nigerian Constitution. According to him, the section of the constitution allows anybody who has an interest in the existence of the person whose life was taken unlawfully to take redress in a court of jurisdiction. “The perpetrators were still under the service of the Nigeria Police Force when the crime was committed. “I condemn in strong terms, the gruesome, unlawful and extra-judicial killing of the deceased over a bribe of N50. “This money must be paid within 30 days of the judgment,” Dogo held. Speaking to NAN after the judgment, Temokun applauded the verdict. “The best day in court for the common man is that day in which the poor citizen of this country leaves the court, reaffirming the old saying, that the court is still the last hope of the common man,” she said. The widow had through her counsel, Mr Tope Temokun, approached the court on Jan 5, 2013, claiming damages to the tune of N8 million against the Nigeria Police Force, the state Commissioner of Police, and the police officers alleged to be responsible. Temokun noted that the loss of the victim had a multiplier effect on his wife, four children, and his aged mother because he was their breadwinner. The counsel for the defendants, Mr Edward Ojemu, who held brief for Mr Tolu Abisagbo, said that the plaintiff had no right to institute the first instance. 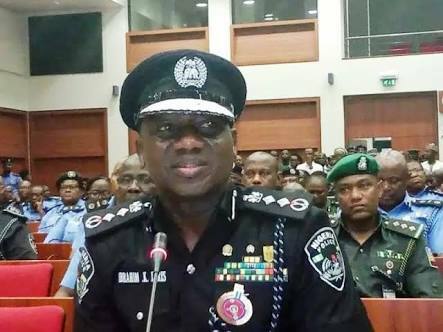 Ojemu explained that Nigeria Police Force had no link with the said crime committed.